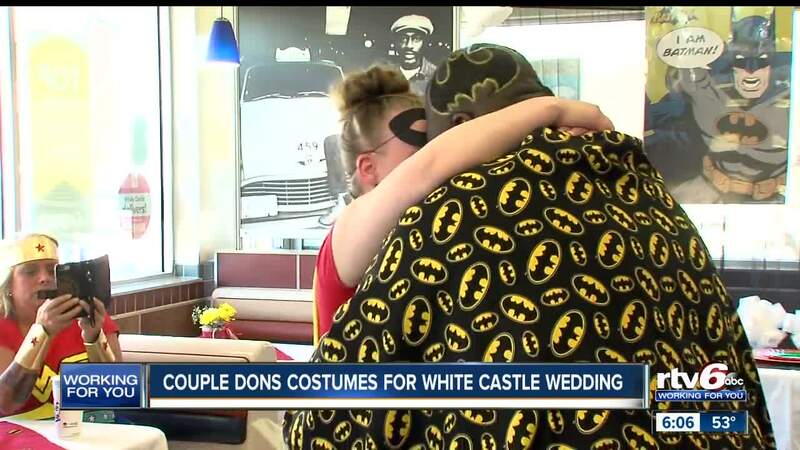 A couple is celebrating Saturday after getting married at a White Castle in downtown Indianapolis. 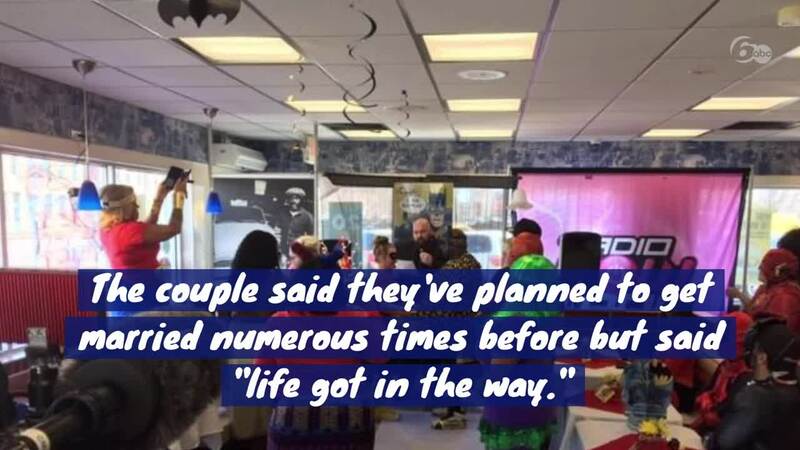 INDIANAPOLIS — A couple is celebrating Saturday after getting married at a White Castle in downtown Indianapolis. Brandi Pugh and Jeffrey Jackson had their wedding at White Castle after winning a contest with Radio NOW 100.9. "Jeffrey and I were middle school sweethearts before reconnecting later in life," Pugh said. "We've set a date for our wedding on several occasions but life has gotten in the way and they ended up falling through. It means so much to us to be able to have a simple and sweet wedding at White Castle." The middle school sweethearts reconnected four-years-ago and have one daughter together.